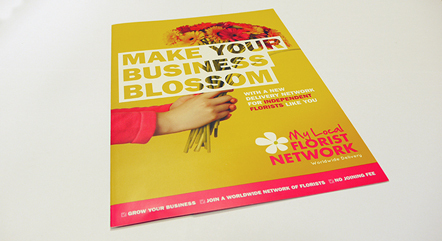 One of our customers had a time sensitive requirement for a small number of 8 page booklets. The design called for pages printed with solid background colours. This is notoriously difficult to achieve using short run digital technology, however, Kolorco is fortunate in having HP Indigo technology! HP Indigo presses differ from small format dry toner based systems in that they use liquid inks and have big press rolling power. This results in really punchy solids and consistent coverage. Our customer was delighted with the results.